CCM is the most modern Model Agency Booking Software available in the market. For over six years in the European market, our system provides ease and efficiency to the management of your agency. Please take a few moments to get to know our software, you will be surprised with what it can do for your Agency! 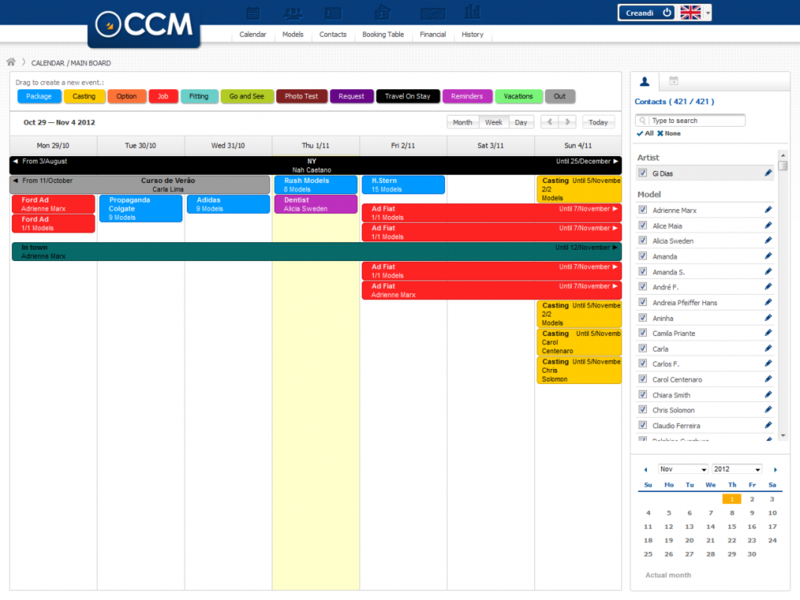 With a very simple and intuitive interface, CCM booking software has an easy navigation and usability for making your life much better! No installation required. Access the software from anywhere and from any device connected to the Internet, 24/7. CCM is a very secure system. Only users with access can view the information of your agency. 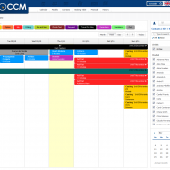 CCM allows you to efficiently manage model's JOBS, Castings, Options, Bookings, Finances etc, allowing more organization and clarity for your agency. You can send emails to groups of users (clients, photographers, models, etc) directly from the system. The system has a calendar that allows you to easily manage any appointments of all models and even bookers! Our system meets 100% of your needs? If not, give us your feedback and requirements and we will adapt it to meet your needs. You do not have a website? Or you are not satisfied with your current one? Try out one of our beautiful websites that can be connected to our Modeling System, making the updates between them very fast and simple. With nearly six years of existence and activity in the European market, our modern and high-quality software will meet your expectations and make your life a lot easier! For the comfort and security of our customers, we make daily backups of all your data, so in case of any need we can put it back in a few minutes. Ask one of our representatives to contact your Agency for a guided DEMO visit so you can know a bit more about the improvements that our CCM can provide for your agency. Manage your invoices, payments, expenses, commissions, chart of accounts, bookkeeping and banking integration (WINBOOKS™ and others). - Send packages with photos and videos in HD. - Multi-languages. - Social media integration: Twitter and Facebook. - Several types of statistics and reports to give you a full vision of your business! Want to learn more and know all the features of our system? Contact us for a free demo or a price offer.